A mind map is a visual framework to record the whole picture of an idea, a subject or a concept. It attempts to focus your thinking, organise ideas and then do something with them. You can use a mind map to manage many things. A mind map can be simple for everyday use and can become more complex depending upon it’s purpose. 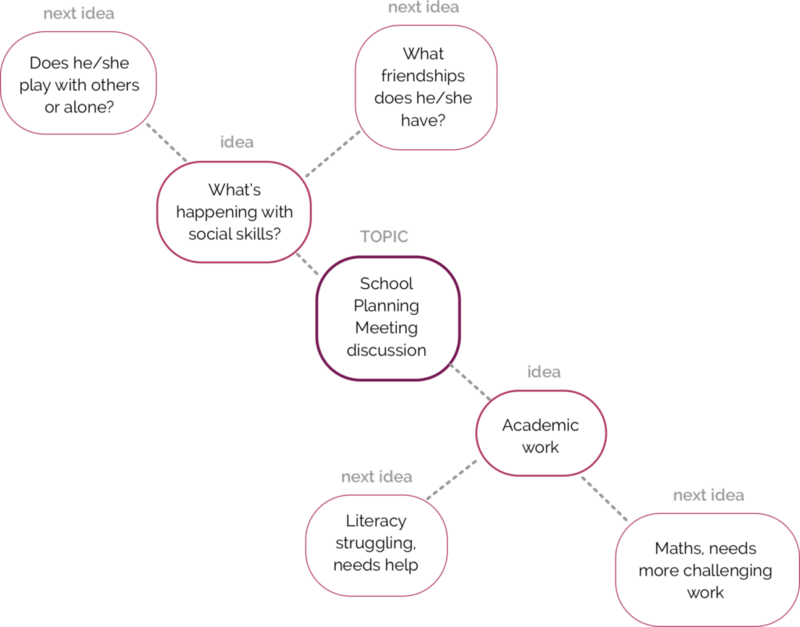 You can create a mind map by having a main topic, then ideas from this and then the next ideas from each of these. 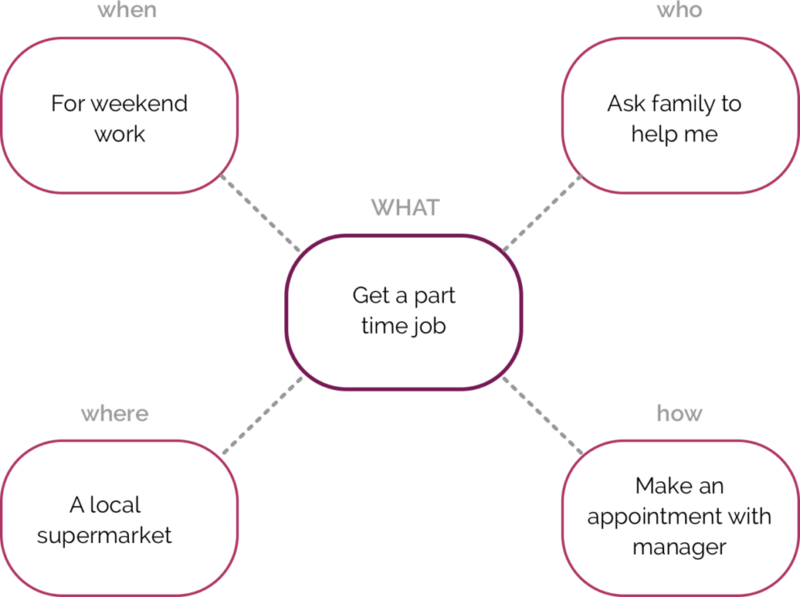 An everyday specific mind map can be developed by using words such as ‘what’ which is the main topic and then ‘when, who, where and how’ to focus your attention to getting outcomes.